Sky Airparts is a company built from the love and passion of aviation. Founder and current owner Norman Chance started Sky Airparts to provide a global aviation parts provider to folks in need. Starting in 1994 in a small derelict 1930s building at the Greenwood Indiana Airport, the company rapidly expanded, shipping parts for airliners around the world from Nepal to Argentina, Russia to China. Now located in two locations—Indianapolis, Indiana, and Anchorage, Alaska—Sky Airparts can ship parts globally, helping people in aviation maintenance get the parts they need. It may not be the most glamorous job, but it is essential to keeping our aviation industry in flight. Mechanic maintenance for several aerospace companies including Evergreen International, Allison-Rolls Royce Aircraft Engines, and Beechcraft. Civil Air Patrol- USAF Auxiliary, 1995-2011. Aircrew Observer,Aerospace Education and Counter Drug Aircrew. Norm is a self-proclaimed parts nerd. He geeks out about this stuff all the time. There are few people as passionate and knowledgeable about plane mechanics and parts as Norm. Five minutes with Norm and you’ll end up wanting to see parts and tools you didn’t know existed. He got into the industry thinking that he could help people who were stranded with their airplanes. It never was a glamorous job, but the logistics challenge of helping those in need drove Norm to continue expanding the business and following the planes. Norm’s passion for planes led him to move his family north to Alaska where there are 16 times as many aircraft per capita as the rest of the U.S. It is clear to see why Norm founded Sky Airparts. He couldn’t imagine doing anything else. Norm’s dedication to the industry, from his early education to his volunteer service, demonstrate the tip of the iceberg of Norm’s knowledge base. He encourages you to pick his brain, use him as a resource, and find the best solution for your airplane parts needs. Over five years in aircraft maintenance and support. He has worked the gamut in the industry, from ramper to the parts department, maintenance to the overhaul shop. Some of Nate’s earliest memories are of airplanes. Growing up in the industry, Nate was exposed to airplanes from an early age. When he was three years old, he remembers Civil Air Patrol was helping push out a yellow Steerman with his dad. His early exposure to airplanes even got him in trouble. In elementary school, he’d tell his teachers that he had spent his weekends changing the oil in an airplane and then flying in one. His teacher would call home saying that he was fibbing. His dad, Norm, founder of Sky AirParts, set the teacher straight. At the time, Nate thought that all dads had airplanes. He now knows that the way he grew up was indeed unique. It was his childhood experience of being surrounded by airplanes that naturally led him into a career in aircraft parts and maintenance, and he now holds the title of Inventory Control Manager. 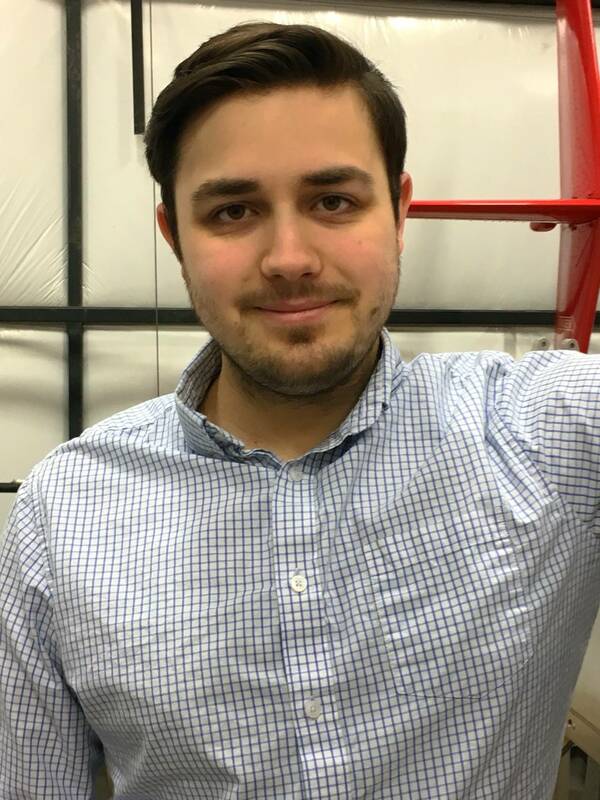 He loves working with customers, and he knows there is no greater pleasure than a satisfied customer, especially when Nate has the opportunity to help customers get their airplanes fixed and back in the air. Nate is excited to support the local aviation community in Alaska, as well as supply the global market. He is eager to help you, and he stands by Sky Airparts’ commitment to serving all their customers with a smile. We are the most knowledgeable and resourceful people in this business. When it comes to finding parts for you, we like to think of ourselves as knowledgeable magicians. We are often able to get parts that don’t exist anywhere else. We pull the bunny out of the hat, so to speak, and couldn’t be happier to “do the impossible” for our customers. People ask, “How did you find this part?” and “How did you pull that off?” Our secret is this: we are extremely resourceful, logistics focused, and have networks in the industry to find the parts you need when you are stuck or stranded. We’ve got your back, day or night, rain or sun, nationally or internationally. We will be there for you.